Moving to Mexico and Feeling Great! 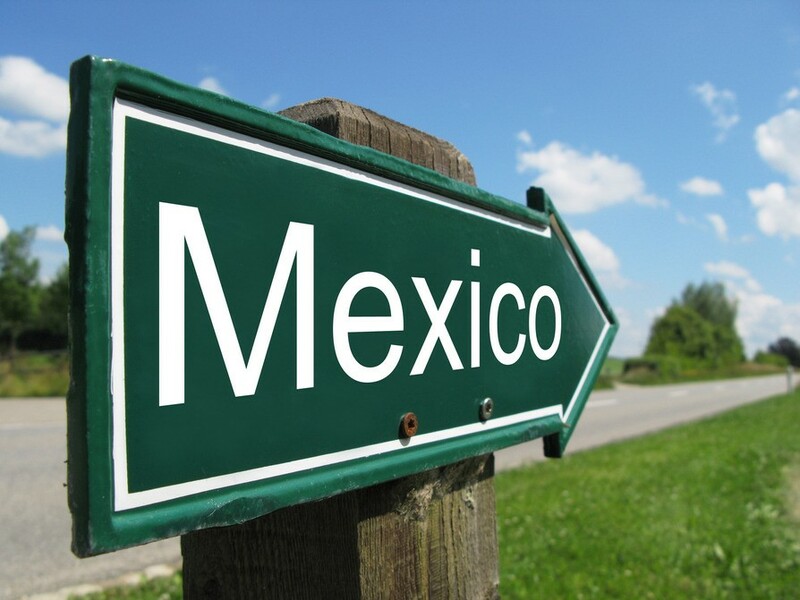 When considering a move to Mexico, we are flooded with questions about the quality of life, weather, safety, housing costs, whether our high-school Spanish will do, where the nearest golf course is, etc. We are excited and full of happy anticipation as we contemplate a new lifestyle in a new country. We research and reach out to those who have gone before us through social networking. We are hungry for information, and so we devour articles and books and carefully plan to visit the places on our short list. Moving to Mexico is one of the most important life transitions we will ever make, one that is enlivening and overwhelming at times. There’s so much to consider and the “to do” list for making an international move can be breathtaking. Many are reasonably healthy and feel that the change to a climate without the stress of winter snow and ice, where outdoor activities don’t require a trip to the gym and where life is lived at a more relaxed pace will be a boon to our overall health. Combine that with plenty of locally grown fresh fruits and vegetables available year round and there is every reason to expect that moving to Mexico is a healthy decision. Mexico offers most expats a healthy lifestyle as long as we find a location with weather we tolerate well, adhere to common-sense daily exercise and avoid over-indulging in pan dulce (sweet baked goods), cervezas (beer) and the ubiquitous cola drinks, etc. But not everyone arrives in Mexico in perfect health. Some bring long-standing chronic conditions. Some of these conditions are simply the result of aging and we look forward to basking in the warmth of Mexico’s sun. Other conditions have been brought on by years of poor diet, stressful jobs and inadequate exercise. Whatever the case, questions about medical care in Mexico arise immediately and need to be an integral part of the overall consideration about where to live. No matter how healthy you are today, nearly all of us are going to need medical treatment in the future. And while we seldom think about it, the way that medical care is delivered is very much a part of a culture. This is just as true of Mexico. Most expats who’ve lived in Mexico for a while have come to appreciate most of those differences. 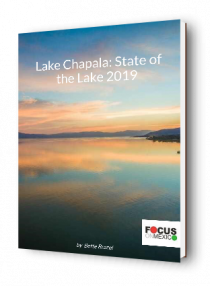 In fact, in this article we are sharing the experiences of several long-term residents of the Lake Chapala area who’ve received medical treatment locally. Although we are quoting them verbatim, we are keeping their identities anonymous to protect their privacy. Many asp ects of medicine are international in nature. Consider the staff at your local hospital in the USA or Canada. If you look at the hospital’s website, you will usually find a list of the staff physicians and where they were trained. Typically, you will see at least some foreign-born doctors who were trained outside of the US. But even many of the native born doctors in the USA will have taken their basic medical-school training at universities all over the world. In fact, it wouldn’t be surprising to learn that your USA doctor went to medical school in Guadalajara, Jalisco, only about an hour away from Lake Chapala. One of the most popular medical schools for North American students, Universidad Autónoma de Guadalajara (UAG), teaches the first two year’s curriculum in English while their foreign students study Spanish. Indeed, Guadalajara, one of the three largest cities in Mexico, is a major center of medical training and treatment and UAG is only one of three major medical schools in Guadalajara. There are also several private hospitals and others run under the auspices of the Mexican public healthcare systems. Should your condition require hospitalization in Guadalajara, the excellent private hospitals include Hospital Country 2000, San Javier Hospital, Puerta de Hierro Hospital, Real San Jose and Mexico-Americano (certified by the Joint Commission International). In addition, the new Ribera Medical Center on the Libramento highway entering Ajijic is slated to open in late 2019 and will provide full hospital services not currently available including emergency room service and operating theaters. Also slated to open in the Lake Chapala area in late 2019 is the new ICMI (Cardiovascular Institute of Minimal Invasion), dedicated to providing high technology minimally invasive medical care to patients with cardiovascular diseases. This hospital will provide an excellent local alternative for stroke and cardiac care that is currently often referred to specialists in Guadalajara. One of the advantages of living near such a major medical center is that board-certified medical specialists are readily available in virtually any field. So if at some point you need the services of a top cardiologist for example, you’ll be able to find him or her easily in Guadalajara and your local general physician may refer you to a doctor or hospital in Guadalajara. For those traveling or staying in the Cancun area, Hospital Galenia is an excellent local private option with a fully equipped ER and two small procedure operating theaters. For many from the USA, it is a disappointment that the US Medicare program does not provide any coverage at all in Mexico. There have been lobbying efforts to change this in the past, but don’t hold your breath. While you will certainly want to keep the “free” Medicare Part A (and perhaps consider it a kind of major medical option), it will be up to you to decide if you wish to pay for Part B, etc. If you live in the Lake Chapala area, you don’t have to go to Guadalajara for most care. There are many well-trained and experienced doctors—including a wide variety of specialists—practicing right in the neighborhood. There are a number of excellent primary care physicians in the Lakeside area and you will want to look for the physician that best meets your particular needs. Your primary physician will recommend you to the appropriate specialist/hospital when necessary. 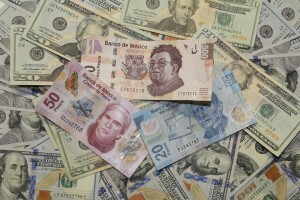 Affordable medical costs are typical of Mexico, but not entirely universal. Some upscale areas, for example Los Cabos in Baja Sur, have higher prices. But in the Lake Chapala area, you will probably spend between $500- $800 pesos MX (about $25-40 USD) for a visit to a general practitioner or $1,200- $1,600 pesos MX ($65-$80) for a new patient appointment, $500 pesos MX (about $25-40 USD) for a visit to a general practitioner, and typically less than twice that for a specialist. The truth is that most who enter the medical profession in Mexico don’t do it because they are seduced by a six-figure salary. But then, they don’t leave medical school with a huge debt either. Most doctors with private practices in Mexico don’t hire as many people because they aren’t doing all the lab tests in the office (typically they are done at a nearby lab), nor dealing with pharmacies and pharmaceutical salespeople, nor billing insurance companies nor paying outrageous sums for malpractice insurance. Most doctors own their own practices and do not have to share a slice of the pie with PPO or HMO shareholders like they do in the USA. Nor is their judgment about what’s best for the patient being scrutinized by a third party. The cost of medical care in Mexico is economical compared to prices in the USA, even when a patient is paying out of pocket (which some opt to do). Economical does not translate to cheap, however. A laparoscopic gall bladder surgery (the most common surgery performed in Mexico and the U.S.) runs about $4,000 US at a private hospital in Guadalajara and heart surgery can cost $30,000+ US at a private hospital. A knee replacement at Hospital Country 2000 in Guadalajara runs between $9,500-$13,500 USD, while the average cost of a knee replacement in the U.S. is $49,500. Only you can know which option is best for your particular budget and circumstances, but pay as you go is only an option if you have sufficient reserves on hand to cover any medical emergency. 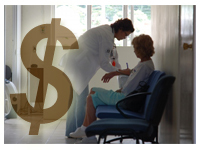 Some opt for pay as you for routine medical care and insurance for catastrophic care. For those in relatively good health, private medical or hospitalization insurance obtained through a local insurance agent is an option. While hospitals are increasingly accepting insurance, many still require cash payment at the time of service. When you obtain an insurance policy, be sure that you thoroughly understand the claims, payment and/or reimbursement procedures. Mexico has universal healthcare, which is implemented through three different national programs: ISTTE (for federal employees only), IMSS , and Seguro Popular. The new Mexican President, Andres López Obrador (AMLO) has promised massive changes to these underfunded and understaffed systems, including combining IMSS and Seguro Popular under a new system to be modeled after European universal healthcare systems. AMLO has promised that the new system will guarantee healthcare for the lowest strata of Mexico’s socioeconomic levels. 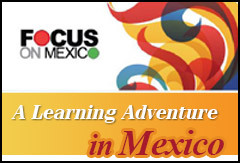 Implementation is beginning in the states of Oaxaca, Chiapas, Guerrero, Tabasco, Yucatán, Campeche and Quintana Roo. Other states will be added gradually over a period of several years. While no specifics have emerged about the effect of these changes on expats currently covered under IMSS or Seguro Popular, the Mexican constitution states that healthcare is a basic right for everyone, so resident expats are likely to still be covered under the new system. Mexico’s initial national program, IMSS, covers working people and their families and is paid, in part, by employers. This program is also available to foreign residents on a voluntary (self-paid) basis, and does not accept single women or pre-existing conditions. While application requires a number of steps, full coverage doesn’t begin for two years. Be aware that waiting times may be long and you cannot choose your IMSS doctor. Medical staff are also less likely to speak English than those in private hospitals and clinics. 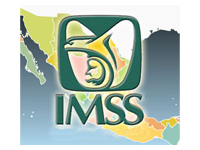 IMSS is a viable solution for some expats, especially those living in certain regions of Mexico not including Lakeside, where there is no IMSS hospital nearby. So, while the coverage can still be obtained, treatment can be problematic. Seguro Popular is a program that was designed to cover those who were either unemployed, or those who were self employed such as farmers and shopkeepers with an emphasis on coverage for the poor and rural. This program too is open to foreign residents. The cost is based on a sliding scale based on a simple interview and some modest payment is required for some procedures. With Seguro Popular there are no age limits and pre-existing conditions are covered. However, coverage is not entirely comprehensive. It is based on an extensive and ever-expanding menu of covered treatments, procedures and medicines. And while there are challenges dealing with the bureaucracy (English is not spoken so translation help may be required), and the facilities are minimalistic (no private rooms, no phones, no televisions, no call buttons, etc.) 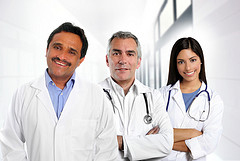 many expats are satisfied with the medical treatment. Expats report varying experiences regarding treatment, but it is well-known that chronic conditions such as hip or knee replacement can include a wait time of as much as two years. Read more about Seguro Popular. Most villages in Mexico have a free Centro de Salud (health clinic) with doctors from the University of Guadalajara or IMSS hospitals who donate their time to these clinics as interns for two years. They are completely free and do not required that you are enrolled in IMSS or Seguro Popular. If you condition is more serious, they will refer you to the Hospital Civil in Guadalajara if you have no other coverage. These clinics are generally for the most underserved population and are not usually the first option of choice for expats. Americans in particular, who have had to deal with an economy where medical care is wildly expensive, (In the last 20 years, medical has gone from about 5% of the GDP to almost 20% of the GDP), dealing with the financial aspect of care is understandably a top priority. But it is important to remember that medical practice in Mexico is not only less expensive, it is different in other ways as well. Medical care in Mexico today may remind you of an earlier period in your own life when a doctor took the time to actually sit down and listen to you. In those days a doctor used careful observation, palpation (tapping the body and listening) and experience to make a diagnosis using less “machine” medicine. Up until the 1960s, your doctor might actually visit your home to treat you if you were sick. Many doctors in Mexico still make house calls for their regular patients. When do you recall a doctor who would do this? While not perfect (no place is), perhaps you understand now why most expats in Mexico become fans of their doctors and the care that they receive. Medical care in Mexico is good to excellent, but the heart with which it is delivered is simply extraordinary. Unlike the U.S. where medical professionals handle all of your care once admitted to the hospital and strict visiting hours are observed, in Mexico family and/or friends are expected to be present during consults and procedures. Nurses are trained to change IVs and give medications and the family is expected to feed, cloth, bathe and change the patient’s bedpan when necessary. Visiting hours are either ‘loose’ or non-existent and family/friends are expected to stay in the hospital with the patient. The private hospitals will usually provide a cot or a suite that includes room for the caregiver. Don’t despair if you are planning to move to Mexico alone as there are reputable local professionals who can be hired to stay with you in the hospital at a reasonable cost. The cost of medications in Mexico generally runs about 50% of the U.S. retail price, but that does not necessarily mean that medications are cheap. For example, a month’s supply of Letrozole (generally prescribed as a hormone suppressant to help prevent breast cancer recurrence) costs $300 in the U.S. with no insurance coverage, and the same medication in its generic form costs about $150 per month in Mexico. It is prudent to check on the cost of each medication you are taking when you come for an exploratory visit so that you can plan accordingly. Also, when you make your first visit to your prospective Mexican doctor, bring all of your medications with you. Knowing the cost/availability of your medications can help inform your decision about whether to self-insure, purchase private insurance, or government insurance such as Seguro Popular. Certain medicines can be brought into Mexico by travelers, but some over the counter products sold in the U.S., such as inhalers and some allergy/sinus medications are not allowed. Products that contain stimulants are prohibited, especially medicines that contain pseudoephedrine (such as Acted, Sedated, and Vicks inhalers) or codeine. You may bring prescription medications only with a currently signed prescription from a medical professional. We have heard of people bringing banned items in their luggage despite the prohibition, but believe us it is not worth the risk involved should these be discovered. Medical evacuation services are also available for those who prefer to remain on their home country’s medical insurance coverage plan. These affordable services cover acute medical situations, not modest illnesses or minor accidents, and may fit your circumstances perfectly if you plan to live in Mexico part-time and/or would prefer to be at home with your family in case of major illness. In Lakeside and throughout Mexico there are a well of alternative healthcare options including homeopathic practitioners and pharmacies, reiki, acupuncture, aromatherapy, massage, yoga, shamanic healing, yoga, and much more. In nearly every Mexican town, you will find healers and medicine men and women (curanderos and brujos) offering natural and herbal remedies and treatments. In indigenous areas, many shamans are revered community leaders and often they are willing to take on foreign clients. Lakeside and many other parts of Mexico also have many natural hot springs and spas that offer nutritional, relaxation, and body cleansing programs at economical prices. 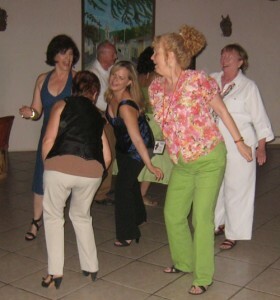 Assisted living is a fairly new concept in Mexico since historically most families take care of their elderly. However, there are currently six assisted living centers in the Lakeside area offering monthly care from $1,500-$3,500 (for dementia care). These homes are typically small with less than 15 residents. The industry is growing rapidly in Mexico, so we will likely see more care centers opening in the future. Read more about assisted living options here. Palliative care focuses on providing relief from pain and physical and mental stress associated with a terminal diagnosis. We are fortunate to have physicians in the Lake Chapala area who specialize in palliative care. Among other things they can assist in keeping patients as pain-free as possible, avoiding unnecessary hospital admissions and assisting those who wish to die at home. What hospital suits your needs? Consider completing the Lake Chapala Society Post Life/Emergency Registry. This document will expedite matters in case of a serious emergency or death. Whether you are considering living in Mexico full or part-time, end of life planning is an important component of your considerations. Monica Rix Paxson is a medical researcher and the author of The English Speaker’s Guide to Medical Care in Mexico. Her science writing has received a number of awards and she has appeared on the BBC, CBS This Morning, Good Morning America, CNN and in the LA Times. I have been visiting the Ajijic area for 15 years and have rented a house there twice long-term. I have driven to PV (Sayulita) many times where I have friends. I have never heard of any expats encountering any troubles on that drive. And I am happy to report the new toll road will be finished within 18 months cutting driving time from 5 hours to three and will be a boom for Ajiji summer rentals for expats looking to get out of summer coastal heat. I also have driven to Barra se Navidad (Colima/Manzanillo) maybe 30 times and have never heard of any problem for expats. I know Ajijic very well and have lots of friends Mexican and gringo there. I can tell you first hand that violent crime is almost non-existent, the weather year-round is perfect, the the food and cultural events are excellent, the locals are friendly, medical is good, and the cost of living is abut 40% of US equivalent. I can also tell you there has been a very stable real estate market there for over 60 years. And currently there is a severe housing shortage of decent homes under $150k and prices have gone up the last 3 years. It has been a very good long-term investment. Most buyers pay cash so there are few mortgagees. Unlike the corrupt US housing bubble and millions of foreclosures in 2007, housing prices went down and market slowed for a few years and then totally recovered. Rental market was very strong during that period. Agree with all your comments, although we are now seeing more houses come on the market (as measured by the number of MLS listings).